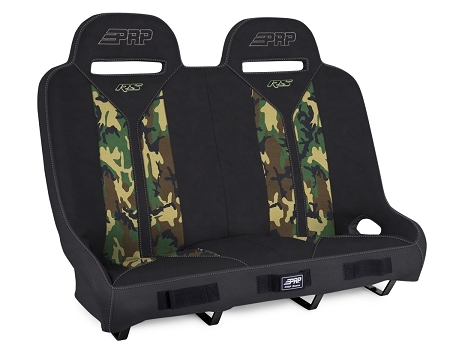 A suspension bench seat to match your RS front seats. Pictured for RZR 4 1000. No cutting or alterations required. Just bolt to your stock seat bases and install. Also available for 800 or 900 (4 inches shorter). Custom built and shipped in about 3 weeks. Just enough room in the center for a child or animal. Slotted for up to three harnesses.